The Coos Bay Downtown Association invites you to attend Shop Small Saturday on Saturday, November 24 in downtown Coos Bay. The event will start at 10:00am and run all day with specials and door prizes at participating downtown businesses. Shop Small Saturday encourages shoppers to support their neighborhood businesses and to embrace the day as a holiday shopping tradition. While shopping you can also participate in the Noggin’ Along Cider Stroll from 10:00am -2:00pm at participating downtown locations. Pick up a map of the businesses where cider or egg nog will be served at Jennie’s Shoes at 262 Central Ave. Come and warm up with a hot beverage while you shop in a commemorative mug! Shoppers who spend $100, or more, in the downtown district between November 9 and November 24, can turn in your receipts from 10am to 2pm at Jennie’s Shoes on November 24, for a beautiful Marshfield District commemorative mug. Mugs are also available for purchase for $10. A limited supply of the collectible mugs will be available, so don’t miss out! American Express first launched Small Business Saturday on the Saturday after Thanksgiving in 2010 to encourage people to shop small and bring more holiday shopping to small businesses. 90% of consumers surveyed said Small Business Saturday has had a positive impact on their community. A visit to a family owned shop or a meal at a local restaurant not only support our local economies, it promotes more vibrant communities. 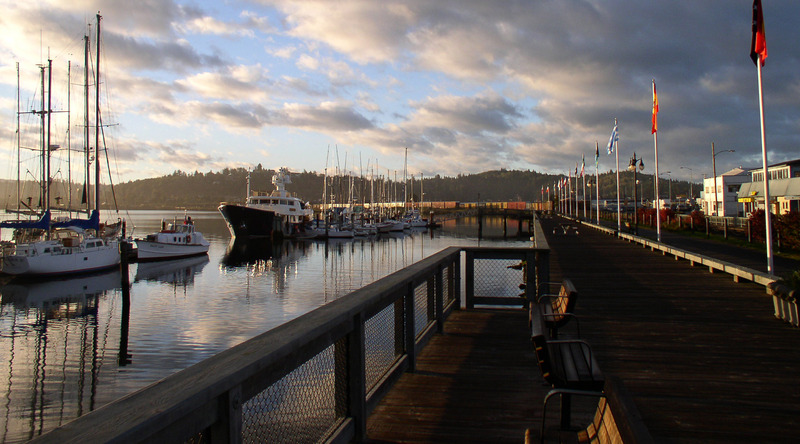 The Coos Bay Downtown Association promotes Coos Bay as an attractive place to live, work, and visit by continually enhancing the quality of life in the downtown area. 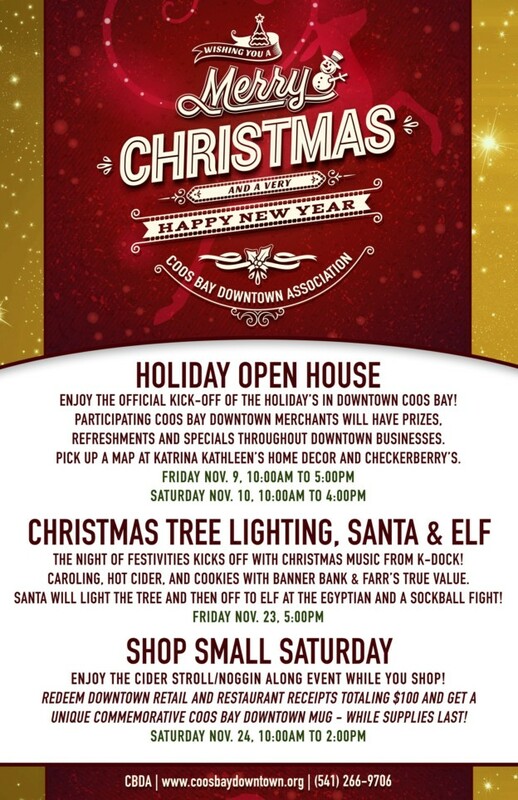 Come to downtown Coos Bay and shop, eat, mingle, and explore!